Here is a list of publications and blogs that feature Beyond the Pasta, me or my kitchen, which is where I “battle tested” Nonna’s recipes before sharing them with you in the book, the app and here on this website. 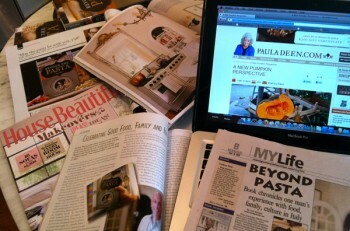 Appsforipads, June 15, 2011: Beyond the Pasta – an Italian App Review! Apartment Therapy, January 19, 2010: Beautiful Kitchen – But is it Practical?